The invitation has arrived! You’re getting ready to attend a celebration of love that promises to be unforgettable. But what will you wear? 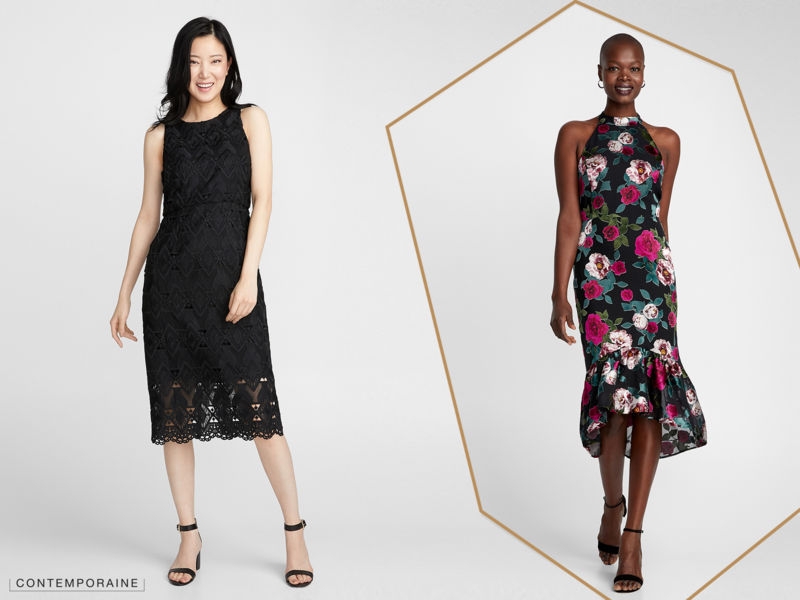 Whether you’re looking for bridesmaid dresses, mother of the bride dresses, or mother of the groom dresses, finding a dress for a wedding can bring up a lot of questions. 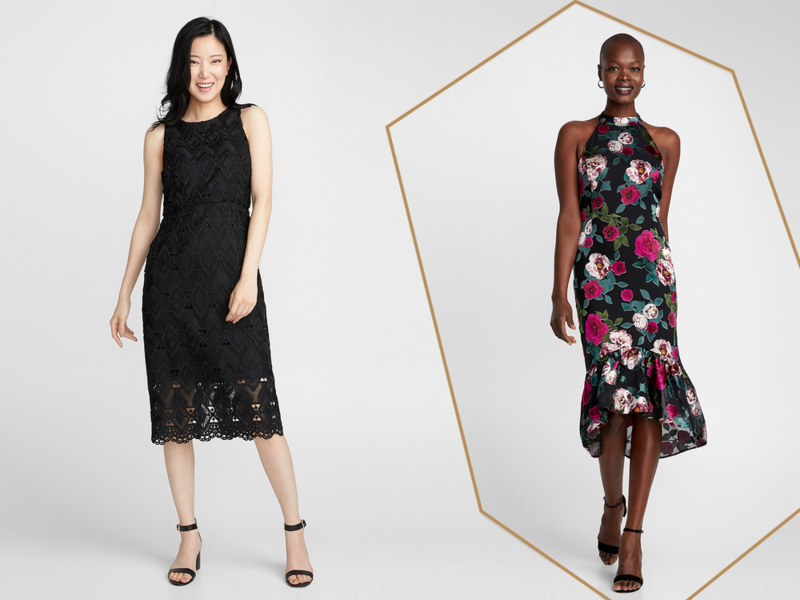 What are appropriate wedding guest dresses? What kind of dresses work for a summer wedding? What colours should you avoid? What accessories should you focus on? Follow our guide to be the best-dressed guest. You want to be noticed but for the right reasons, so it’s a good idea to know what type of wedding you are attending. The first step: check to see if the invitation mentions a particular dress code. Is it black tie? Is there a special theme? Also take the location of the wedding into consideration. Will it be inside or outdoors? Will it be in a city or on the beach? Will it be chic or more country-style? Will the ceremony be taking place in a church? All of this information can help you choose an ensemble that’s appropriate for the event. But what type of dress should you wear exactly to a beach, country, or chic wedding? Well, the sky's the limit when it comes to your sartorial creativity. The possibilities are absolutely endless. 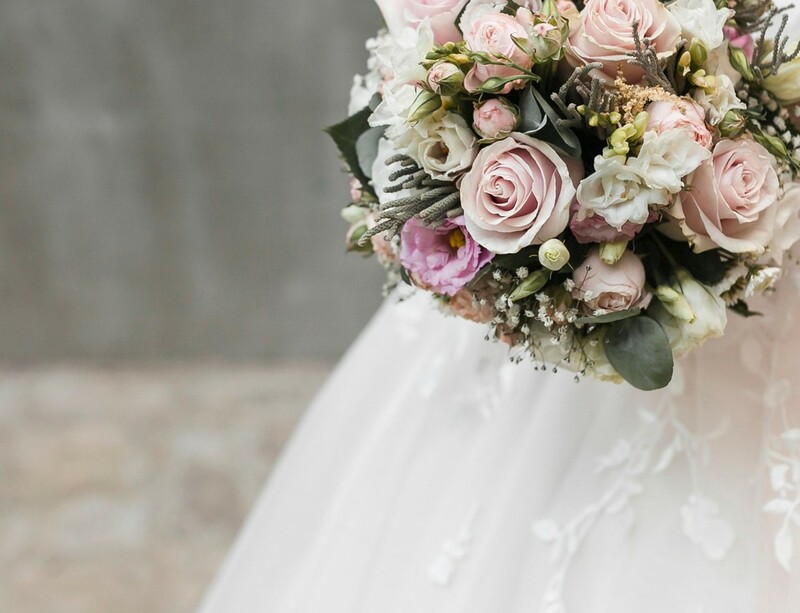 However, to give you some direction while shopping, keep in mind that a beach wedding often features bright colors, sunny prints, and lightweight fabrics. 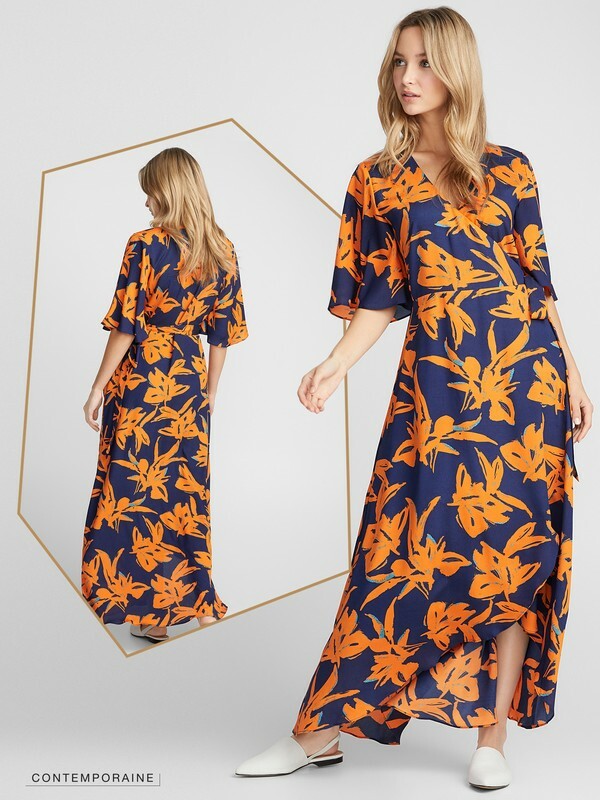 We love summer maxi dresses that won't get swept up by an ocean breeze. When it comes to country weddings, wearing airy fabrics, romantic lace, pastel colours, and floral motifs is a good guideline to follow, while for chic, urban weddings, you might want to opt for structured and satiny fabrics that are more reserved in terms of colour and print. We prefer cocktail dresses to long elegant gowns, since the latter can seem more like red-carpet attire or prom dresses and might steal the spotlight. Traditional white is reserved for…. the bride's wedding dress! Unless otherwise stated, this colour is off the guestlist! That also goes for colours that are close to white, like ivory and cream. However, you can wear white in tiny touches, like if it appears in a print. All other colours are welcome, including black and dark hues. If there was a time when wearing these shades at weddings was considered iffy, that is no longer the case. Unless you are attending a very traditional wedding, you can definitely dress in a dark colour. It’s also important to know the colour of the bridesmaid dresses in order to differentiate yourself from the bridal party. In general, the dresses of the mother of the bride and mother of the groom correspond with the colour of the bridesmaid dresses, without necessarily being identical. Jewellery, shoes, and bags are the perfect plus-ones that can transform an outfit that’s ordinary into one that’s extrordinary. Want to brighten up your little black dress? Think colourful accessories! Want to make an understated outfit stand out? Add a shimmery necklace! Want to add some oomph to a miminal ensemble? Put on some statement earrings! And what shoes should you choose? High-heels that cover the entire foot or those that are in a sandal or mule style are always a great choice for adding elegance and femininity to your outfit. But don't forget that stillettos can be inconvenient for outdoor weddings, because they easily sink into grass and sand. Why not opt for a block heel, a trend that's really hot right now. For those that aren’t as comfortable walking in high-heels, don’t panic! Sandals and ballet flats can also look very chic and stylish. To add the finishing touch, clutches and minaudières will be your best buds. They promise to keep all your essentials stylishly stowed away. Finally, while shopping, remember that the #1 rule is to choose an outfit that you feel good in and that makes you want to smile and celebrate all day. Also, feel free to opt for something other than the traditional dress, since jumpsuits and pant suits perfectly marry elegance and modern appeal.